This Talented Horror Artist Creates Images of Each State With Their Respective Spooky Icons! Artist Laz Marquez has created a unique tribute to horror icons by placing their portraits in the states that their movies take place. It's a cool look at your favorite local monsters. Inspired by the horror film "Psycho" set in Arizona. Inspired by the horror film "Jeepers Creepers" set in Florida. Inspired by the horror film "Jaws" set in Massachusets. 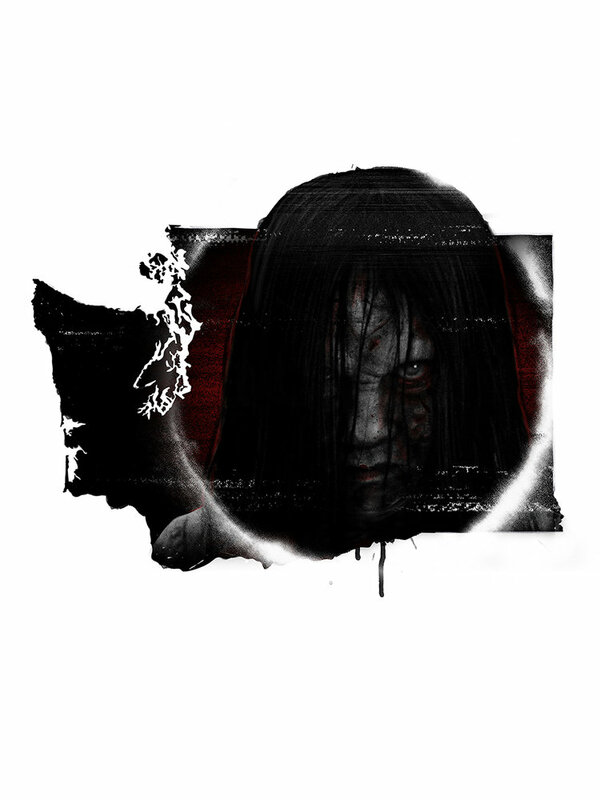 Inspired by the horror film "The Ring" set in Washington State. Inspired by the horror film "Carrie" set in North Carolina. Inspired by the horror film "Leperachaun" set in North Dakota. 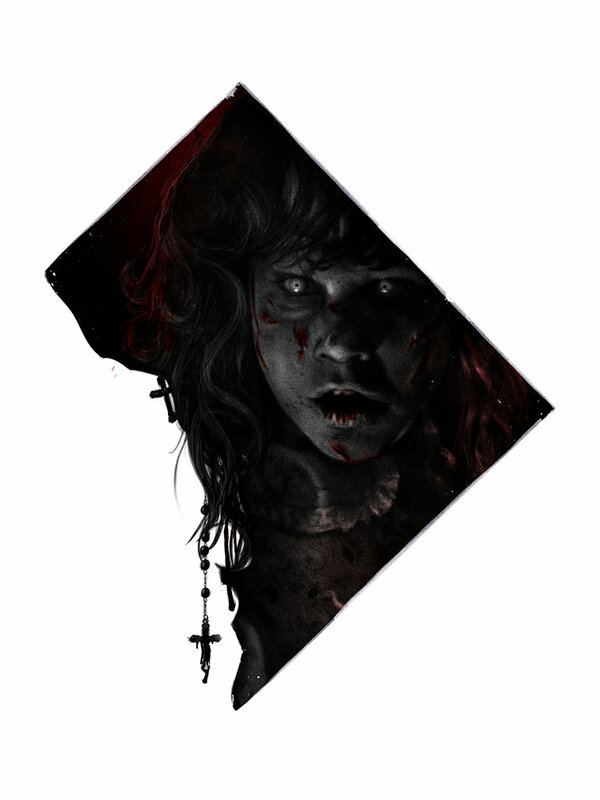 Inspired by the horror film "The Exorcist" set in Washington D.C. Inspired by the horror film "Children Of The Corn" set in Nebraska. Inspired by the horror film "Mama" set in Virginia. 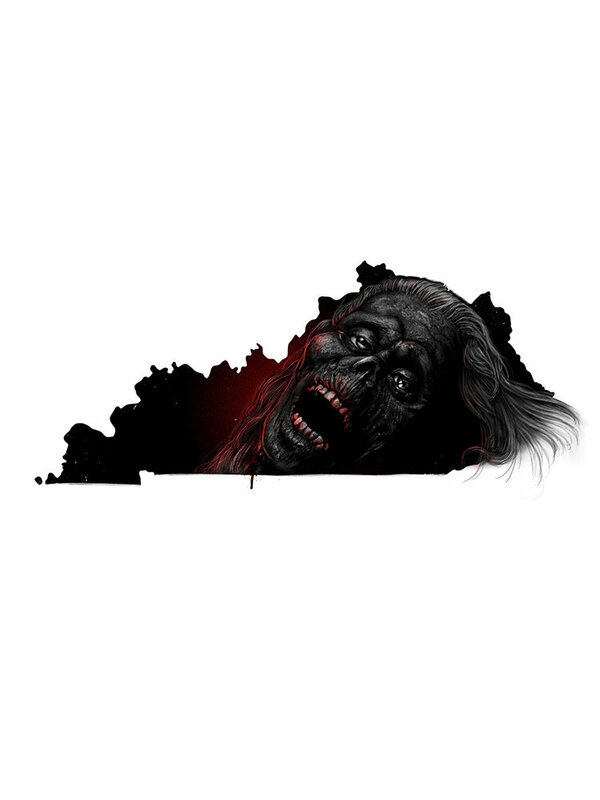 Inspired by the horror film "Return Of The Living Dead" set in Kentucky. 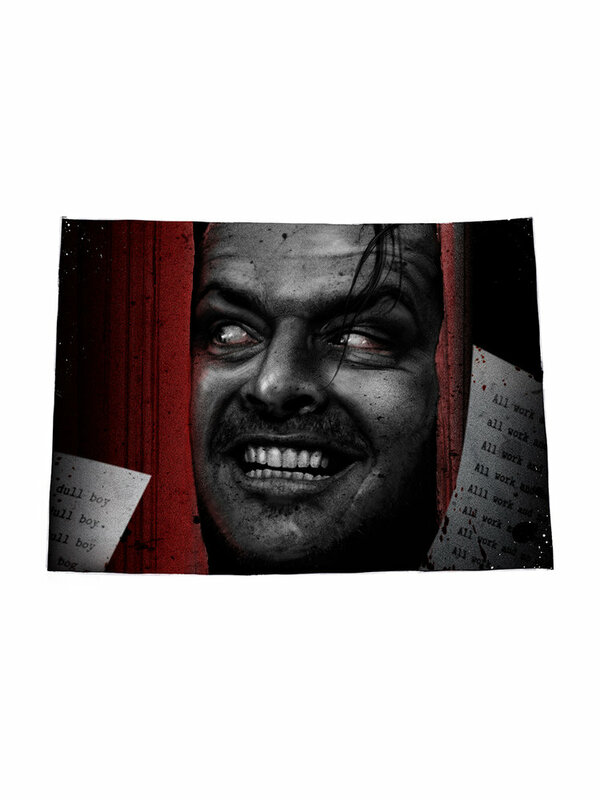 Inspired by the horror film "The Shining" set in Colorado. Inspired by the horror film "Beetlejuice" set in Connecticut.